These photos were taken the next morning, after shooting for the “Wharariki Holiday Park Star Trails” shot. Needless to say, I did not get a lot of sleep that night. The photo series here shows the different variations of light you can see during sunrise. The first photo here was taken about 20 minutes before the sun was up. “Awaiting the Sun” Wharariki Beach, New Zealand. The next photo was taken as the sun was rising and casting a nice pink glow to the sky and just starting to light up the Archway Islands a little more. 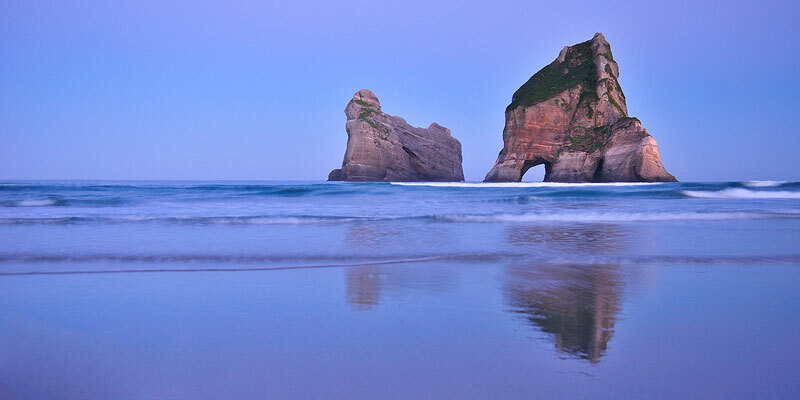 “Archway Islands Twilight” Wharariki Beach, New Zealand. “Archway Islands” Wharariki Beach, New Zealand. This shell is about to be washed away by the ocean, possibly farther onto the beach, or taken back out to sea again. “Washed Away” Wharariki Beach, New Zealand. 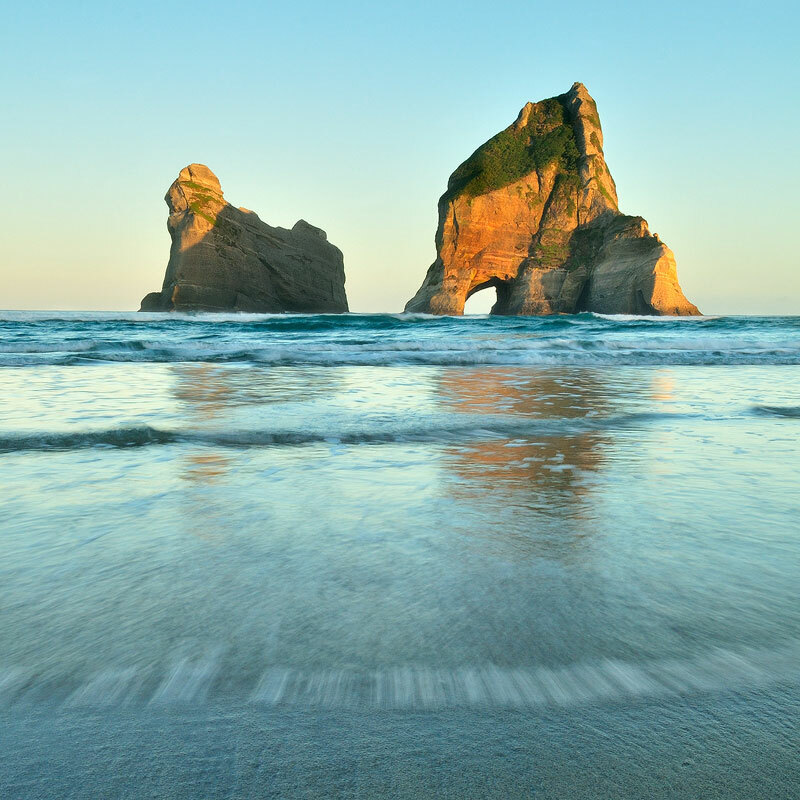 Written by Mike Isaak, posted on September 19, 2011 at 5:00 pm, in New Zealand and tagged new zealand, sunrise, travel photography, wharariki beach. Permalink. RSS feed for this post. 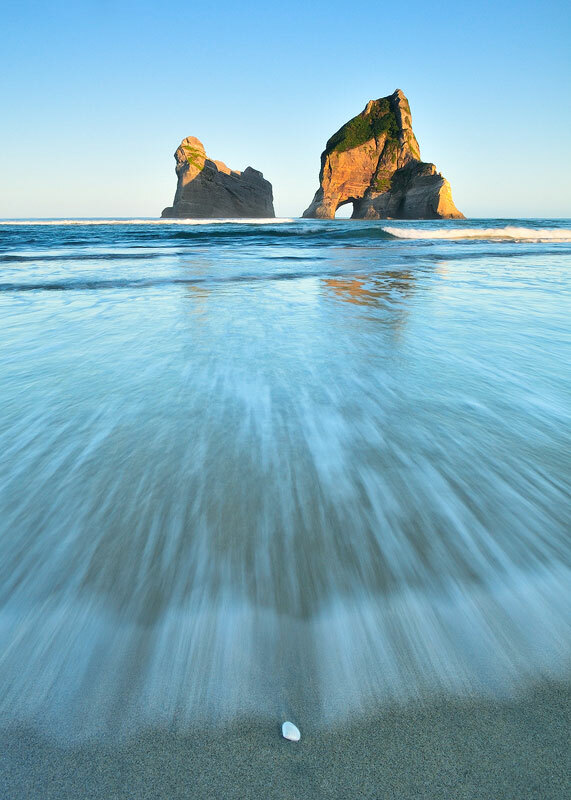 « Archway Islands Sunset – Wharariki Beach, New Zealand.